Has your life been affected by Alzheimer’s? 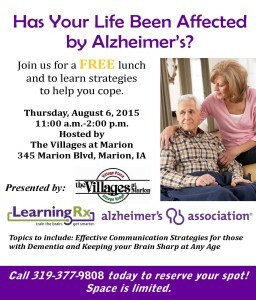 Join The Villages at Marion on Thursday, August 6th for a FREE lunch and to learn strategies to help you cope. 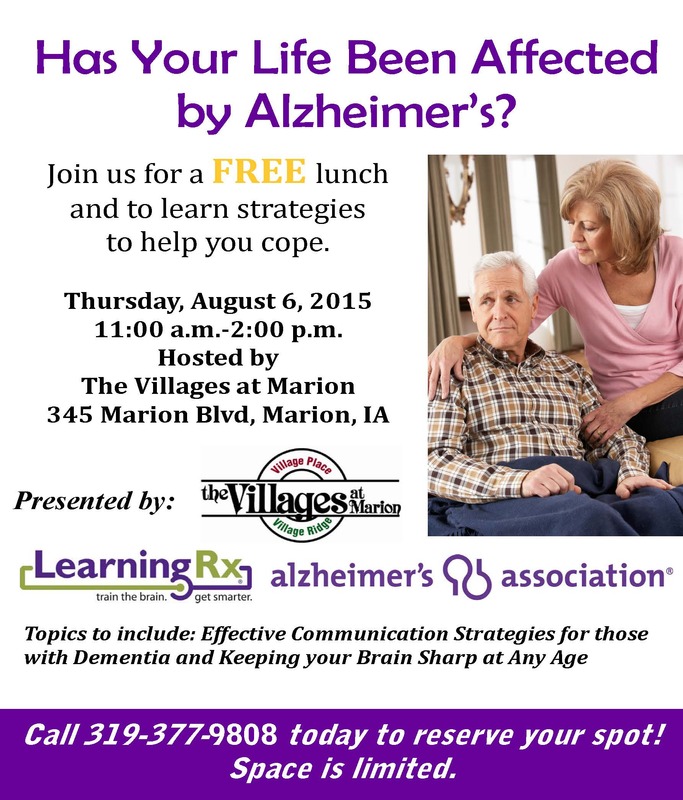 Starting at 11 am, the Alzheimer’s Association will be presenting on Effective Communication Strategies for those with Dementia. Lunch will be served at noon and LearningRX will wrap the day up at 1 pm with their presentation and activities on Keeping Your Brain Sharp at Any Age.